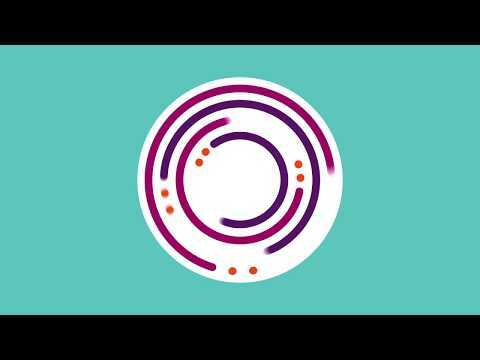 Introducing Mitie Document Management, your document management partner. No matter what your document needs are, we can do it. From creation through to destruction we are committed and passionate about delivering a personalised solution that works for you. Leading law firm, Fieldfisher, use innovation to continually improve their clients' M&A transactions. They are now rolling out Workshare Transact to organize their deal closing processes and create greater efficiency with more transparency for their clients. Launch your critical IT projects, plug skills gaps and up-skill your existing IT team with our expert consultants. We have helped many firms increase efficiencies and improve quality in their software releases, and most importantly ensure their projects consistently launch without fail. 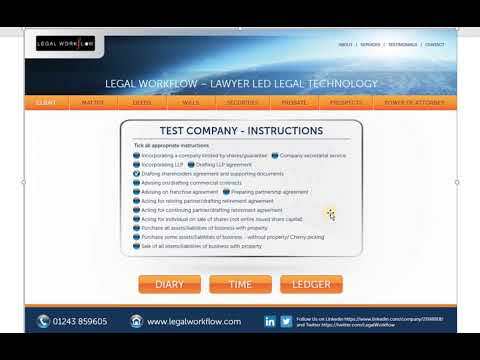 Legal Workflow: How much unnecessary risk is your law firm exposed to? You have a practice and case management system in place, right? JD Spicer Zeb Solicitors were established in 1977 and have grown from 2 to 70 employees across five offices within the UK. Philip Spicer, Managing Partner of JD Spicer Zeb solicitors talks about his experiences with DPS Software and the long relationship both companies have had with each other. Workshare 9.5 means faster metadata cleaning and more accurate file comparison for our clients. There's been a high volume of installs and the feedback is great. It's ready to install when you are! Ensuring corporate compliance for your own company is only the beginning for managing risk in your industry. Performing partner assessments and supplier evaluations are also crucial for understanding who you are doing business with. 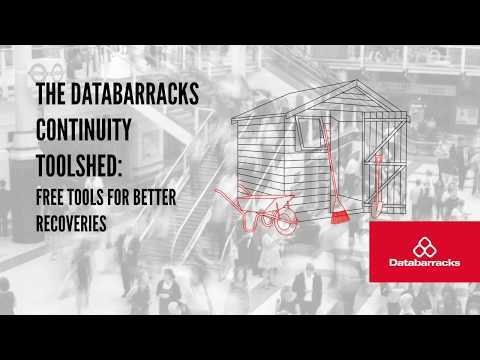 Over the past three years, we’ve been developing practical tools that take the heavy lifting out of in-depth continuity planning, making it faster and more approachable to newcomers. In this video you’ll discover the one simple change to your marketing that will target 97% more of your ideal clients. If you want additional help with this, click the button below to book your 15 minute ‘Focus Session’ with me. How to get more clients and increase your profits without working more hours. Intelligent Delivery Solutions has built up a reputation of providing honest and innovative testing services to the legal sector, both on site and from our UK based Test Hub. Automation Testing is a solution to enable repeatedly executed manual test cases against an application, without human intervention. With the right solution in place, it is likely your projects will experience a reduction in the time taken in testing cycles, as well as the opportunity to have more focus on testing new functionality. Our iTest Hub is our north-shorting solution based in Manchester, used by many of our clients to support testing activities in high demand periods. 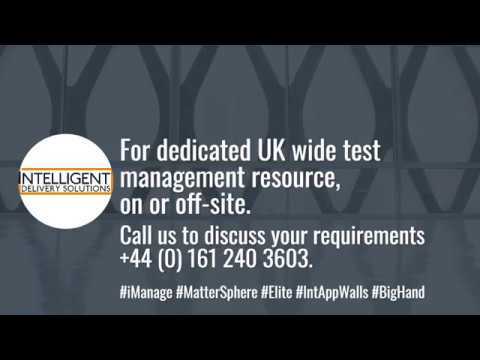 We deliver a fully managed all-inclusive testing solution, delivered to meet all aspects of your testing needs.